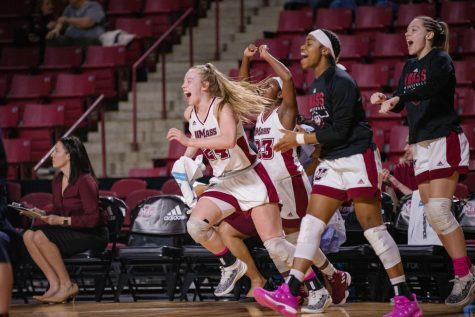 Fresh off a victory over a strong Villanova squad, the Massachusetts women’s basketball team will travel to Florida and try for its second consecutive victory in an attempt to jump over the .500-mark as it takes on Rice in the first round of the Miami Thanksgiving Tournament. 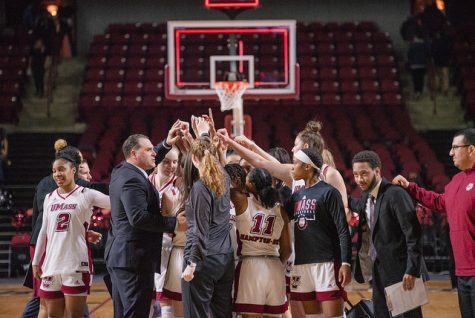 The Minutewomen (2-2) defeated Villanova 55-47 on Sunday in their best defensive performance of the season. The defense, which held Villanova to 28.3-percent shooting from the field, has steadily improved in each of the past two games. 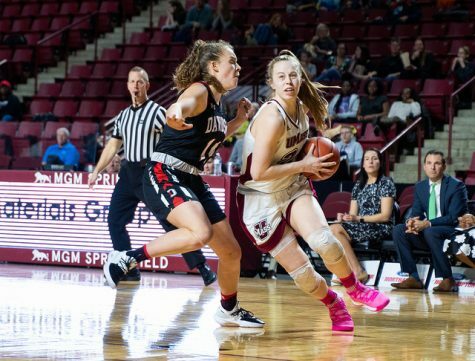 UMass coach Marnie Dacko hopes the team can bring the same intensity to the court on Friday. 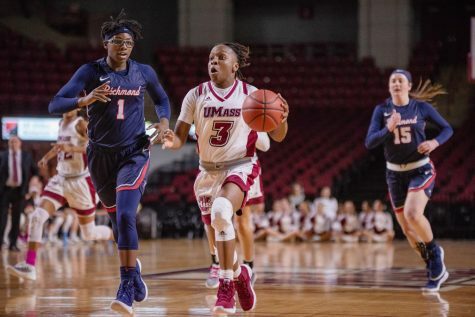 However, Dacko also cited two weaknesses that have plagued UMass. In their first four games, the Minutewomen have been outrebounded 66-to-44 on the offensive end. Those rebounds have, in turn, helped create 47 second-chance points for their opponents. As Dacko pointed out, the team’s inability to consistently defend a screen has also been a problem. 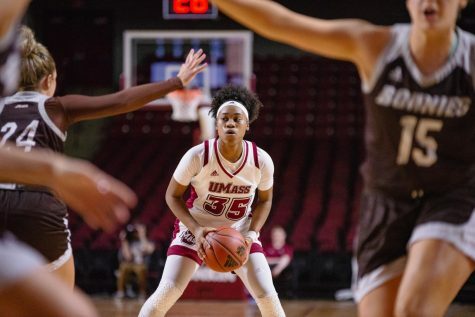 At times, opponents have been able to carve the UMass zone defense at will with screens and inside-to-outside passing. This can lead to open looks on the perimeter and enables players to make moves in the paint. 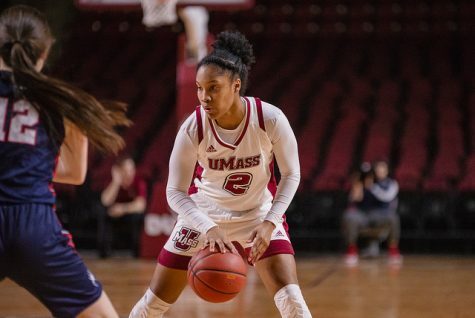 On the offensive end, UMass has continued to showcase a balanced attack. The Minutewomen have had a different leading scorer in each of the past three games with a slew of players making sizable contributions. Sophomore Kristina Danella has been the team’s most consistent offensive presence thus far. 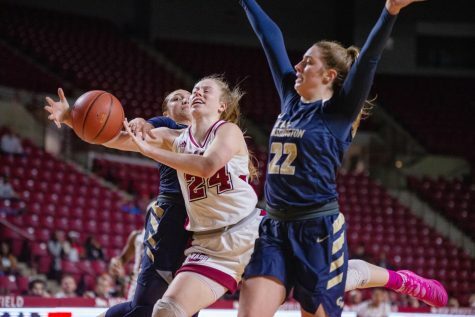 She opened the season with a 21-point effort against Boston University, and leads the team with 14.5 points per-game and six rebounds per-game. Fellow sophomore Nicole Jones is second with 10 points per game, and is tied with Danella in rebounds. “Our big thing is that we have to rebound and get the ball inside,” Dacko said of the team’s offense. Through their first four games, the Minutewomen have amassed 92 of their 243 total points in the paint. 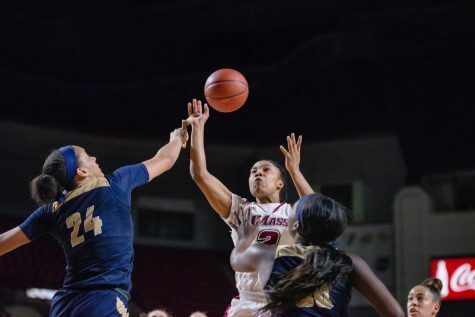 Jones and freshman center Jasmine Watson have both proven that they can be threats in the post. 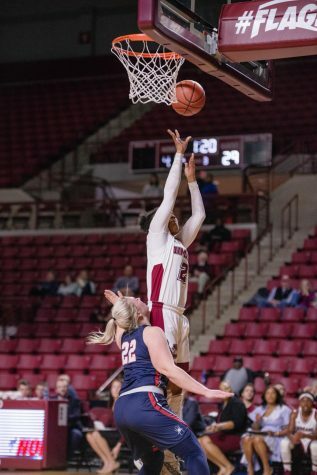 In the second game of her collegiate career, Watson posted 14 points against St. John’s on five-of-10 shooting, while Jones was a deciding factor in Sunday’s win over Villanova with career highs of 22 points and 12 rebounds. Awaiting the Minutewomen is a 0-3 Rice squad (prior to Tuesday night’s game) that has gotten off to a rocky start in the early goings this season. The Owls have struggled mightily on the defensive end. They have allowed at least 80 points in each of their first three games, finishing each match up with an average deficit of 21 points. After a 30-point blowout at the hands of No. 11 Texas A&M, Rice responded with its strongest offensive effort of the season. 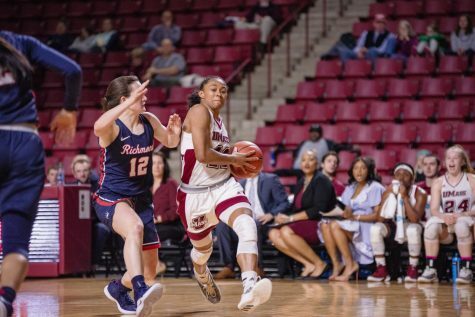 Last Saturday, the Owls poured in 82 points in a 10-point loss to Stephen F. Austin and hauled in 54 rebounds, with both totals beating the team’s previous highs. Entering last night’s home-game versus Arkansas-Little Rock, sophomore Jackie Stanley led Rice in scoring with an average of 11 points per game. The forward is also second on the team with 4.3 rebounds per-game, trailing only junior forward Morgan Mayse (4.7). Mayse is also third on the team in scoring with an average of 7.3 points per game. The freshmen duo of guard Jessica Goswitz and forward Lacey Neu has also consistently contributed to the Rice offense. Prior to last night’s game, they were tied for second on the team in scoring with 8.7 points per game. Neu also averages three rebounds per contest, while Goswitz has been solid defensively with two three-steal performances. UMass and Rice will open the Miami Thanksgiving Tournament on Friday, with tip-off set for 5 p.m. at the BankUnited Center in Coral Gables, FL.